NY Islanders aren't the laughing stock of the league like many predicted. at Barclays Center on October 8, 2018 the Brooklyn borough of New York City. 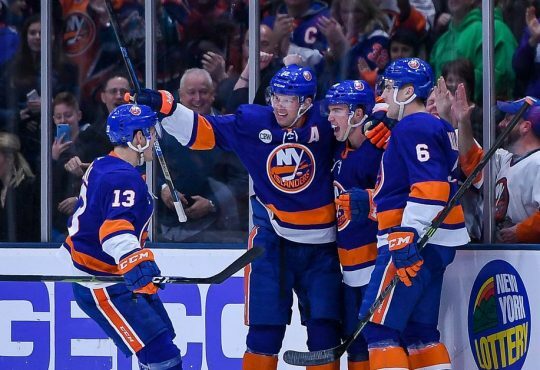 A quarter of the way through the 2018-2019 NHL season, and the New York Islanders aren’t the laughing stock of the league – they’re a playoff contender. NY Islanders fans should be pleasantly surprised with what they have in their make-up of misfits and toys that nobody else wanted to play with. And also, to all who avoided the doom-and-gloom feelings of this past off-season’s roster shake-ups – please feel free to join in on the back patting parade. You all deserve it. I do, however, recommend that as a fan – you remain cautious in your optimism. The jury is still out on whether or not this roster of talent can maintain this competitive play over the long-haul. The advanced stats gurus would insist that the blue-and-orange are destined for a plummeting fall more sooner than later. These same advanced stats gurus are also staring at the numbers in disbelief with where the Isles are currently sitting in the standings. They’re the same bunch who were baffled at what the Vegas Golden Knights were able to accomplish in their inaugural season. So, take that for what you will. 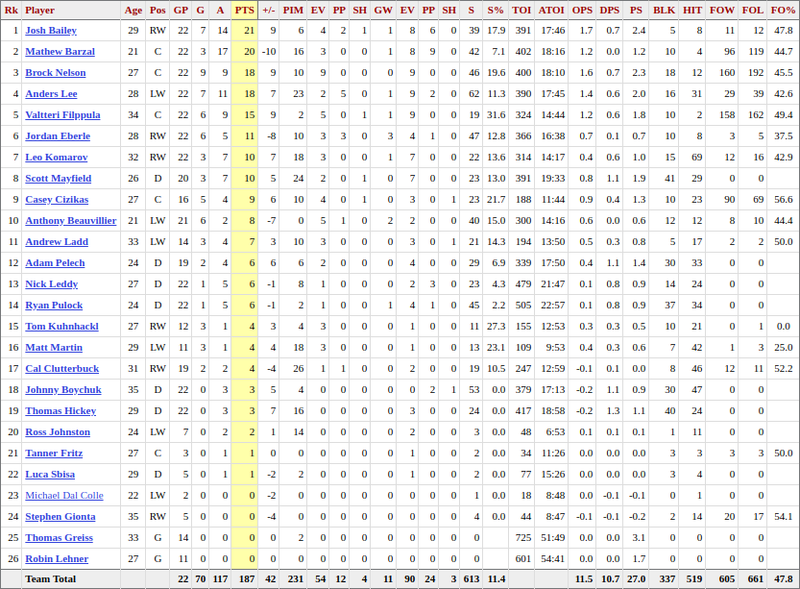 Islanders player stats as of Nov 25th. Taking a look at the Islanders’ player stats through twenty-two games, you’ll notice a certain player who has taken a proverbial dump on those same advanced stats – Islanders’ legend, Valtteri Filppula. Locker room intangibles aside, the veteran from Finland continues to be a consistent offensive contributor, as well as becoming arguably the Isles best penalty-killer. A visible smile overcomes my face every time I see Valtteri make a viable positive contribution with this team. The amount of venom and hate for even the consideration of acquiring his services, was epic in display on social media during the free agent period. Sporting a 6-goal, 9-assist, and plus-9 stats line at the quarter point of the season – is way more than an expected output from the two-way player. To say that Lou Lamoriello and Trotz are satisfied with what they’re getting out of Filppula is an understatement. This is certainly evident from the amount of responsibilities delegated to him. 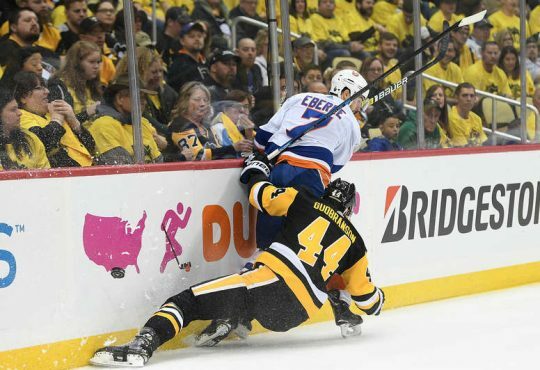 I’m confident that the majority of the Islanders fan-base would concur- that if they could physically hold onto him, and whisper sweet nothings into his ear, thanking him for everything he’s done for this franchise in the 20-plus games he’s been at the helm – they would all jump at the chance. The magic word of “accountability” continues to persevere in the locker room, and as we are all able to see with the on-ice product – it carries over to the results. Trotz is NOT playing around. When his team put together an unimpressive stretch of a couple of games versus the Stars and the Rangers on 11/15 and 11/21 respectively – guess what?! The team practiced on Thanksgiving day. I wish I was a fly on the wall for that practice. Like I said, Trotz is NOT playing around. That kid could put in 30-goals in 30-games, and the second he misses a defensive assignment – Trotz will be on his behind quicker than he’ll ever know. A far-cry from the past regimes. No free passes for anyone, no matter the talent level. Exactly what the doctor ordered. Thomas Greiss and Robin Lehner are proving to be a very reliable one-two combination. 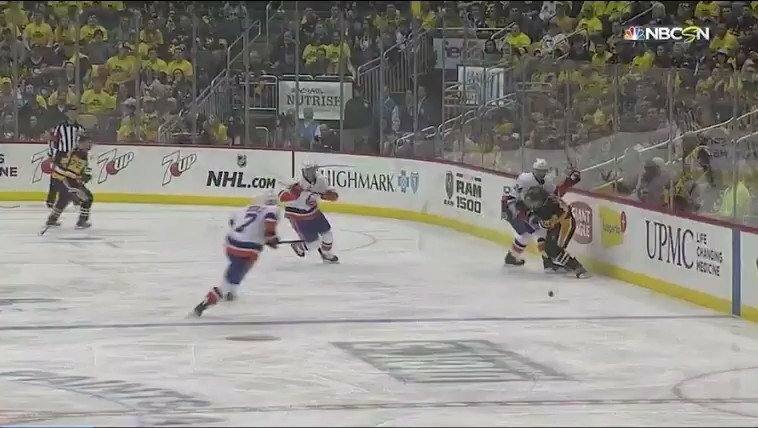 Greiss in particular, as of late, has recently looked the most solid of the two given that Lehner was out for a bit with a back strain. I can see Trotz wanting to get Lehner back on track by giving him the bulk of the work going forward, barring any major setbacks in his play. Especially seeing the reliability of Greiss whenever and wherever he’s called upon. NY Islanders goaltending stats as of Nov 25th. Thomas Greiss is currently sitting atop such goalies in GAA as former all-star Devan Dubnyk of the Minnesota Wild, and the once desired Carter Hutton of the Buffalo Sabres. 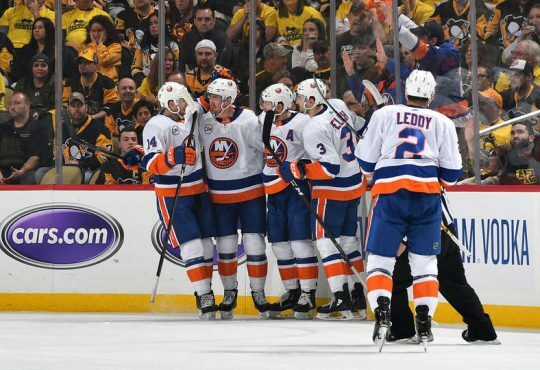 If there’s one lesson to be learned thus far is that when the Islanders stay consistent with their system play – success is the immediate result. 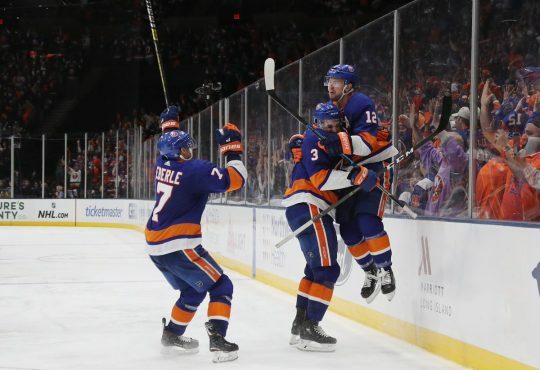 The common thread with all of hockey’s talking-heads is whether or not the Islanders can continue on their same path of consistency – or maybe even improve upon it with their current roster make-up. I’d continue to recommend that Isles fans just enjoy the ride and not get too hopped up on results. You need to understand that this is a large undertaking, and expecting immense positive results with one year under the helm of the new regime is highly unlikely. 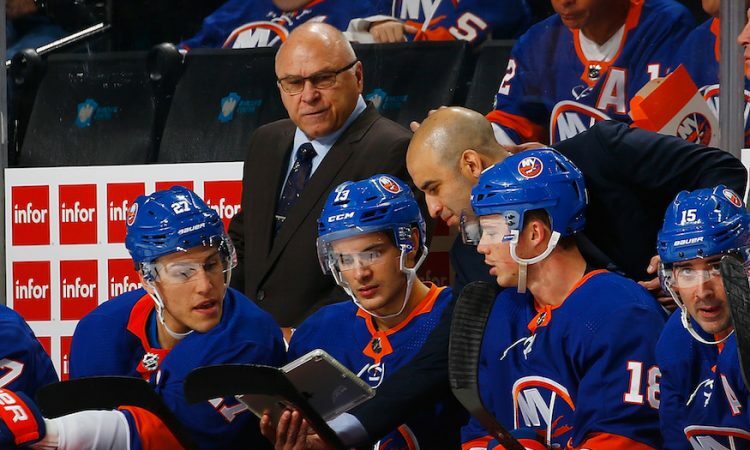 It’s a marathon, not a sprint – and the Islanders are finally running in the right direction.